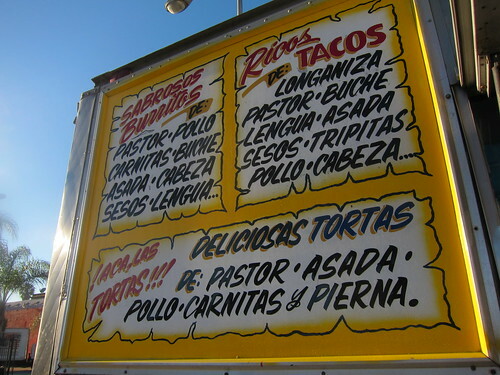 When I first started this blog one of the first trucks I was told to try was El Matador. That was almost six years ago and I’ve been going back to El Matador ever since. Yes, it’s partly the red chile which is one of LA’s best, but it’s also how well the meats go with the chile that make El Matador one of LA’s best taco trucks. 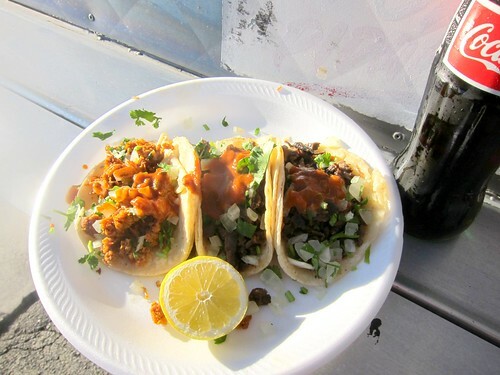 I ordered carne asada and longaniza and popped open the tall bottle of Mexican coke. 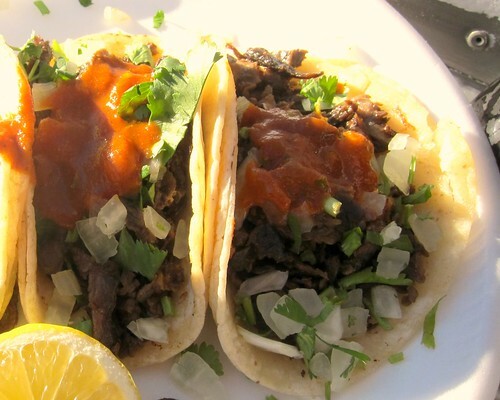 Within a minute my tacos were ready and topped with El Matador’s spicy salsa roja. 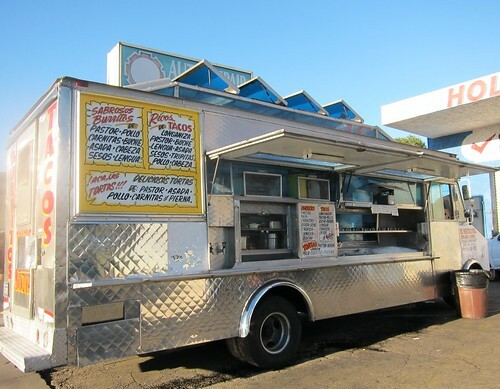 At most LA trucks you pay when you order, but at El Matador you pay in the end. The longaniza , a spicier version of chorizo, had good flavor and was more dense than chorizo you will typically find at taco trucks., which can be damped in so much grease it becomes mushy. I’d order this taco again. 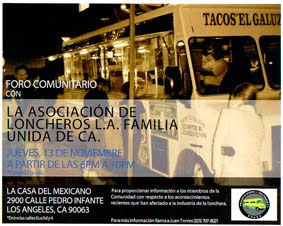 I really like their asada. The meat is charred and tender with good beef flavor. The beef is most compatible with the red chile. The cold bottle of Mexican coke was the perfect compliment. From the street a car honked, then another, then some shouting and more honking. It was your usual LA traffic jam, and as soon as I was finished with my tacos I was going to be in it. But for the moment I was in my own utopia. The sun was beating down on my face and the cool heat from the chile slicked my tongue. I chugged the Mexican coke until it was almost gone. The bottle leaving my mouth made a popping sound and the taquero asked if I wanted two more. More honking came from the street and I fumbled through my pockets. I had enough money for two more and a tip for the taquero.